Most kids know about Jackie Robinson, the first black player in Major League Baseball. But my guess is that most kids don’t know about Willie O’Ree. 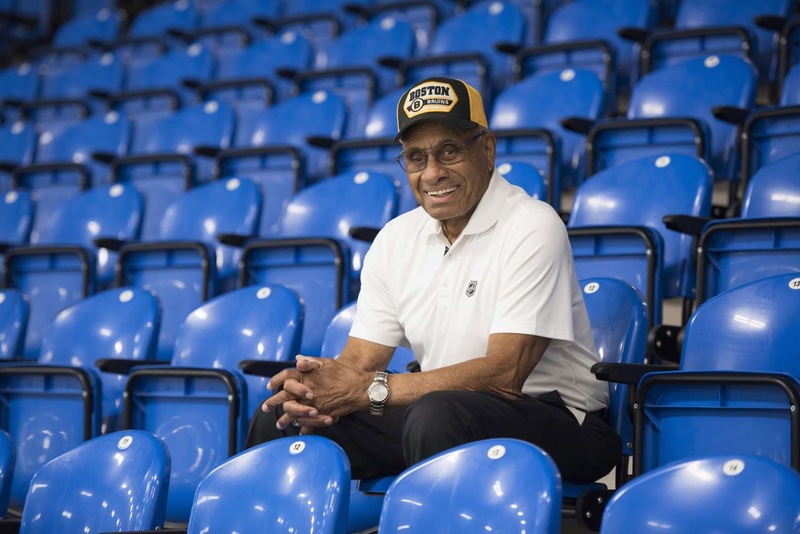 He was the first black player in the National Hockey League (NHL) and has an amazing story. O’Ree was born in the Canadian province of New Brunswick in 1935. One of 13 children, O’Ree started playing ice hockey almost as soon as he could walk. He was a very good amateur player. But at age 19, O’Ree was hit by a puck that broke his nose and cheekbone (players did not wear helmets and faceguards as they do today). Even worse, O’Ree lost most of his vision in his right eye. O’Ree wanted to keep playing, so he didn’t tell anyone that he was almost blind in one eye. He kept moving up through hockey’s minor leagues until he made history by appearing in two NHL games for the Boston Bruins in 1958. 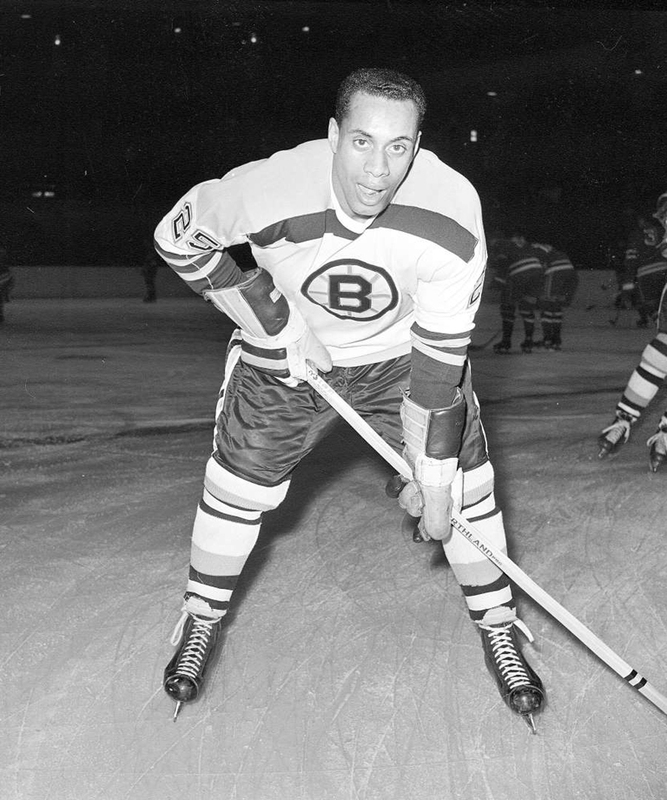 O’Ree also played much of the 1960-61 season for the Bruins, scoring four goals and earning 10 assists. O’Ree did not return to the NHL after 1961, but he had a long career in the minor leagues. Remember, for most of O’Ree’s career, the NHL had only six teams. Because of this, some very good players were stuck in the minors. Sadly, like Jackie Robinson, O’Ree was called all sorts of ugly racist names when he played in the NHL. Even sadder, O’Ree said the fans in the United States were worse than the fans in Canada. You may think those days of racist taunts in sports are over. Well, think again. Just this past December, Divyne Apollon II was playing for the Metro Maple Leafs, a Washington-area youth hockey team. 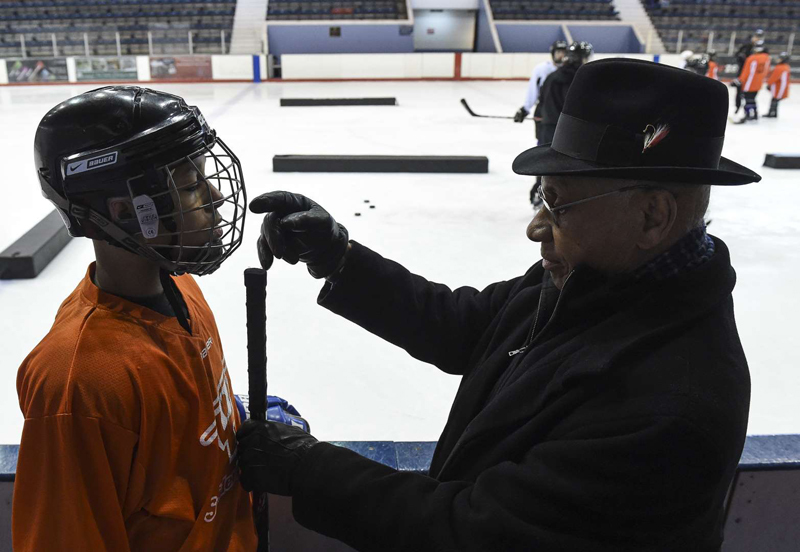 Divyne is a 13-year-old African American who, just like Willie O’Ree, loves hockey. The Maple Leafs were playing a team called the Raiders when the Raiders started calling Divyne names and saying he should play basketball instead of hockey. Things got so bad, Divyne’s teammates started fighting with the other team. I think some of these problems come from the mistaken belief that only certain kinds of people can play a sport. Kids look at the NHL, which is 95 percent white, or the National Basketball Association (NBA), which is almost 80 percent black, and think you have to be part of a certain group to play a sport. But no group owns any sport. The games belong to anyone who loves the sport and is willing to put in the hard work to be the best they can be.